On June 23rd our DC Baseball team will be traveling to St. Louis, MO to play at Busch Stadium, the home of the St. Louis Cardinals. This will be an amateur game between the Davis County Mustangs and the Fairfield Trojans. They should play after the 1:15pm game of St. Louis Cardinals and Los Angeles Angels. The MLB game could be picked up by ESPN for Sunday night baseball. If this happens then the amateur game will be played in the morning and the MLB game will be at 7pm. We have tickets on sale now for a discounted price of $45 per ticket. These tickets retail for $58-$63. Please contact a Davis County Mustang Baseball player or the Davis County Activities office to purchase tickets. The Boys Track Meet that was scheduled on Tuesday, April 23rd at Mediapolis has been cancelled. Mustang Pride Day is being moved to Tuesday, April 16th! You read that correctly, tomorrow it is! We are doing this because the weather is predicting a gorgeous day for tomorrow, and we would like to take advantage of that! We would like to remind our students to dress appropriately for working conditions. We are encouraging our students to bring along any rakes that they have to help out. Also, make sure to bring drinking water for yourselves! High School students will be dismissed at 12:30 tomorrow. Buses are running on normal schedules in the afternoon, so students need to make appropriate arrangements for the afternoon. Students are not allowed to loiter at any of the three schools once they are dismissed, so please make sure rides are lined up. Davis County High School can't wait to get out and help our community! Honk and wave if you see us out and about tomorrow! There have been a few changes to tonight's HS B/G Tennis schedules. They are as follows: Boys Tennis has now been changed to a Varsity ONLY match vs. Centerville at home beginning at 7:00 pm. Girls Tennis vs. Centerville @ Centerville has been rescheduled to Tuesday, April 16th. While it may be too late for college-bound seniors to apply for most college scholarships, it’s not too late to enter the College Funding Forecaster giveaway! After estimating total college cost over four undergraduate years using the College Funding Forecaster online tool, users can enter their information for a drawing for 10 $1,000 awards to be paid to the student’s college next fall. Families with college-bound seniors are encouraged to visit www.IowaStudentLoan.org/CollegeCosts to learn more and enter. Seniors who complete, or whose parent or guardian completes, the College Funding Forecaster by April 30, 2019, are able to enter. Tonight at the Dennis Anderson Relays we will be recognizing our seniors beginning at 4:20. We will have our parents meet in front of the grand stands on the track at 4:15. The Iowa State visit rescheduled from earlier this year will be on Thursday, April 18th. Interested sophomore, junior & senior students must sign up in the office & have parent permission before attending. Visit is limited to 30 students. Davis County High School is proud to announce the annual Mustang Pride Day will be held April 17, 2019 with a rain date of April 24, 2019. This day is dedicated to the students of the high school giving back to Davis County by washing, raking, painting and the general cleaning-up of Bloomfield and the surrounding county communities. If you have projects that you would like/need done, please contact Caci Brus at 664-2200, extension 1132 by Wednesday, April 3, 2019. 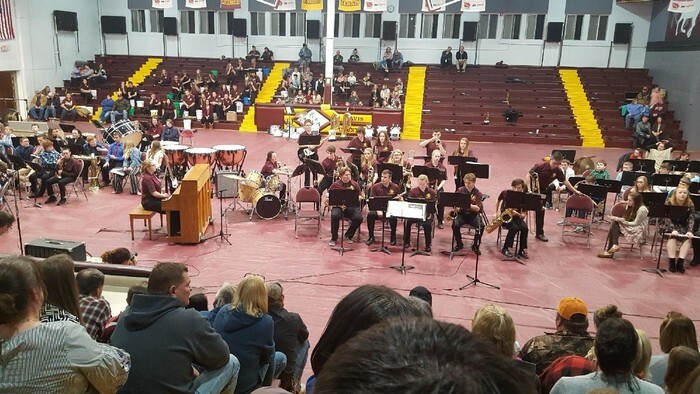 Our Davis County 5-12th grade bands hosted a band concert back on February 21st. If you ever get the chance to attend a concert, we have some really amazing and talented musicians here at Davis County! SENIORS!! Anne Morgan from Davis County Dollars for Scholars will be available in the high school computer lab on Monday, March 18th during 5th hour for questions or help with the DFS application process. Congratulations to our students that represented Davis County at the State Individual Speech competition on Saturday! Out of 16 entries, DC has seven entries that qualify for All State! We had three students with an overall score of 1: Clayton Garmon in Spontaneous Speaking, Kassidy Stremler in Prose, and Kolton Stremler in Acting. Four students walked away with superior ratings from all three judges: Megan Swan in Storytelling, Kolton Stremler in Poetry, Jaryn Froah in Original Oratory, and Kassidy Stremler in Literature Program. Great job to all that participated! COME SUPPORT THE BOYS TENNIS TEAM TONIGHT AT SOUTHFORK! FOOD SPECIALS TONIGHT: FRIED CHICKEN, LASAGNA, & BBQ RIBS GO MUSTANGS!!! Tired of the winter blues.....come out tomorrow night and join us in the High School Commons for Notes of Sweetness! You will will be wowed by our High School and Middle Jazz Bands while snacking on some delicious sweet treats! All the fun will begin at 7:00 pm. Silver Cord Opportunity!! Students interested in volunteering to help run games at the Elementary school carnival on March 1st from 5:00 to 8:00 can contact Jessica Glosser at 641-799-8333. 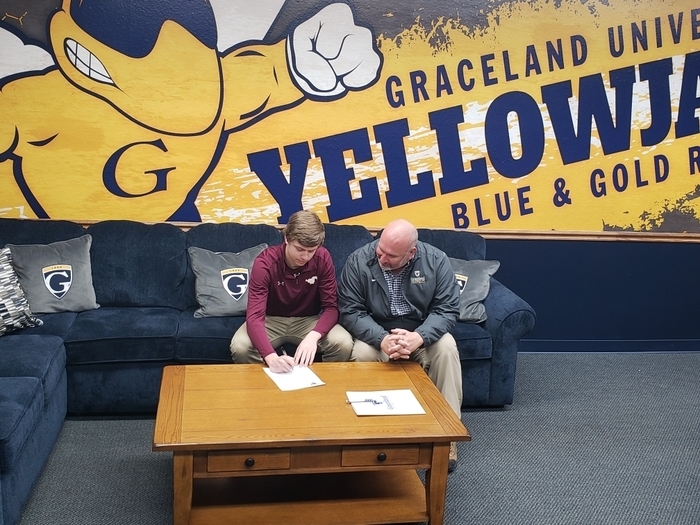 Senior Reegan Warning signing to play football with Graceland. Pictured here with Head Coach Kolb. Congratulations Reegan! 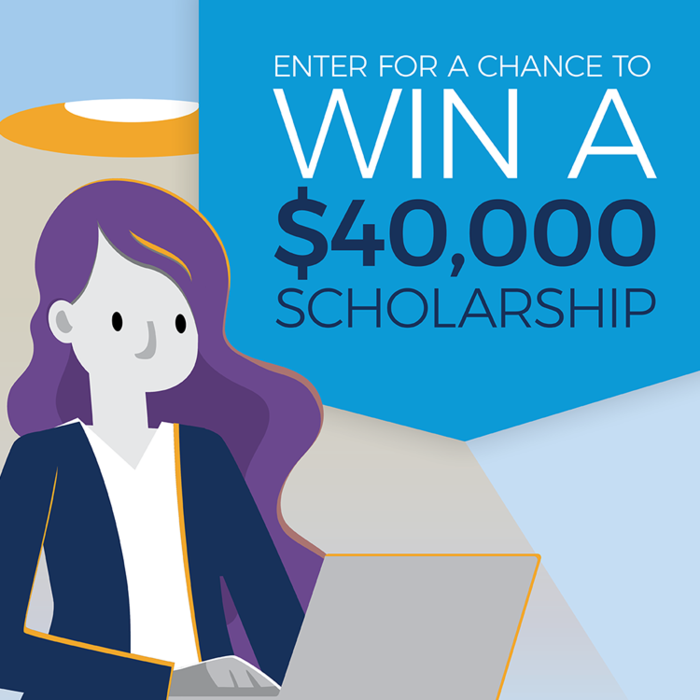 Enter for a Chance to Win a $40,000 Scholarship + $5,000 Tech Package in the ACT Scholarship Giveaway! Eligible sophomores and juniors who register for the April, June, or July 2019 US national test dates may enter. Check YES during registration to opt-in. 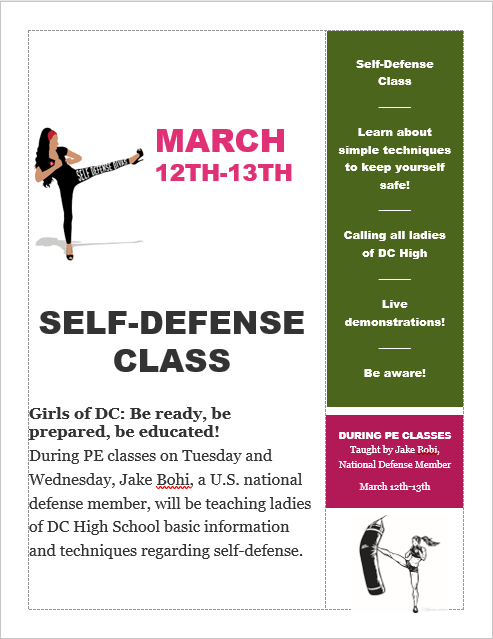 During the month of March DCHS Girls will have the opportunity to learn some self-defense techniques during their P.E. hour. Wednesday, February 20 – The Scholarship Process: A Guide for Seniors - 5:30 pm Register: https://attendee.gotowebinar.com/regist…/7605688463252694539 Scholarships are an important part of the financial aid process and can make a big difference for students when it comes to picking the school they attend. Where to look for scholarships, standard application expectations, how to write essays, and how to improve your applications will be addressed. Good luck to Taylor Huggins as he represents Davis County HS at the State Wrestling tournament!! **Update on tomorrow night's game** The DC vs. Van Buren game will begin at 6:30 in Albia, NOT 7:00 as originally posted. We would like to congratulate our DC Wrestlers. We had 6 compete at the district level and Taylor Huggins made it to state. He will be competing at Wells Fargo Arena this Thursday, February 14th. Congratulations to all! Way to go Taylor!! Tonight's games at Clarke will be played in the respective buildings. Girls JV/Varsity and Boys Varsity will be played at the High School. Boys JV2/JV1 will be played at the Middle School. We have a couple changes for activities tonight due to more weather moving in tomorrow. G/BBB 9th Game vs. Pekin has been cancelled for tonight. G/BBB JV2/JV1/Varsity vs. Knoxville will be played tonight beginning at 5:00 in Knoxville. Students will be dismissed at 2:30. 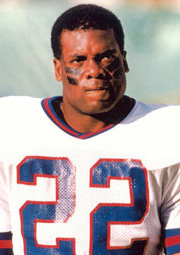 Lee Rouson, former running back in the NFL for the New York Giants, will be at Davis County High School on Monday, January 21st. He is a motivational speaker and he will be presenting on empowering others to become leaders, and motivating youth to overcome adversity. Due to the impending weather, the Bowling meet that was scheduled against Sigourney for Saturday, January 12th has been cancelled. On Friday, January 18th our Boys and Girls will travel to Knoxville to play basketball. 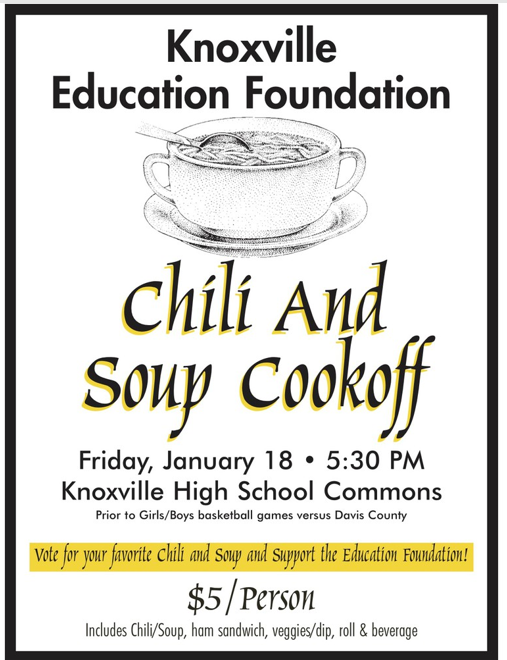 Knoxville is having a Hall of Fame night along with a chili cook-off. Tonight's HS Wrestling Meet will begin at 5:30. This is a change from 6:00. Silver Cord Opportunity!! First Resources in Bloomfield is looking for students who would be willing to provide music to their residents. Please contact Sherri White at 664-1907 if interested!! Today is the last day to get a high school yearbook for $40! The price increases to $45 starting tomorrow. You can order at jostensyearbooks.com. 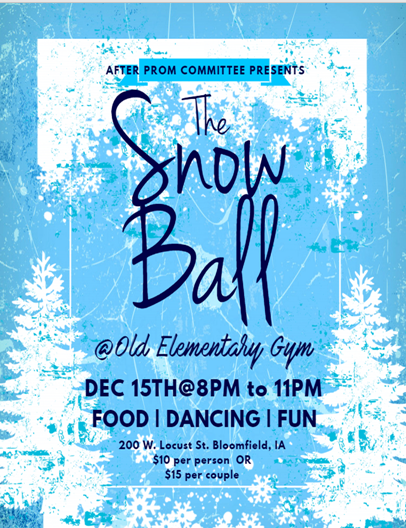 DC After Prom presents the Snow Ball! SILVER CORD OPPORTUNITY! Bloomfield Main Street will be sponsoring a 5K race on Sat., Nov. 10 at 10 a.m. Volunteers are needed along the route to make sure that the runners/walkers make turns correctly. If interested, please contact Jen Cronin @ 616-610-2546. A big shout out to First Iowa State Bank for the snacks and equipment bags for our trip to Fort Dodge! GO DC!! Picture retake day for the Elementary, Middle and High School is set for Friday, November 16th. They will begin the retakes at the Elementary School first thing in the morning, and work their way up to the high school to finish. If you have any further questions, feel free to contact your child's school! October 17th's Driver's Ed meeting will be held from 5-6pm only. The instructors will release the students early so they can attend the 3A Regional Volleyball meet if they wish to. High School Parents - Please check your email today for a message regarding our ALICE drill next week. Freshmen, sophomores, juniors & seniors! Create a raise.me account at https://www.raise.me/join/6961361166.  You can earn money for college with your high school grades, attendance and school participation! Southern Iowa Mental Health will be providing FREE depression screenings on Thurs., Oct. 11th from 11:30 am-3:30 pm for youth 14 yrs and older in the Community Room of the 1527 Albia Road, Ottumwa, IA facility. No insurance or appointment is needed, but a parent must be present.